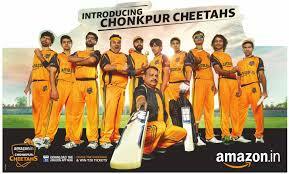 Amazon India’s latest T20 campaign Chonkpur Cheetahs, launches the fourth film. The campaign India ke Sapno ki Apni Dukaan which portrays a series of film is a journey of an aspiring team to reach their goal of playing in T20. The campaign converses various ways in which Amazon enables the team to get one step closer to their dream of playing in T20. The dreams of the Chonkpur Cheetahs is a metaphor for the dreams of millions of Indians and how Amazon can enable them in small way to achieve those by providing access. The upcoming fourth film introduces a wicketkeeper who to the audience, a key player who has been missing in the team so far. The coach and the team together stumble upon their potential wicketkeeper under unusual circumstances, who runs a business with her brother. The coach along with the team offers her to be the wicketkeeper after they observe her quick reflexes and sturdy hands while working at the shop. She happily agrees and becomes a part of the team.